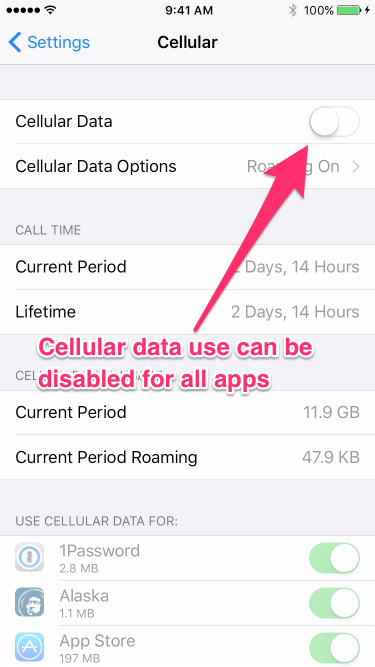 It can be very useful to turn off your cellular data connection when traveling. This will save battery and prevent roaming or data charges. 2. 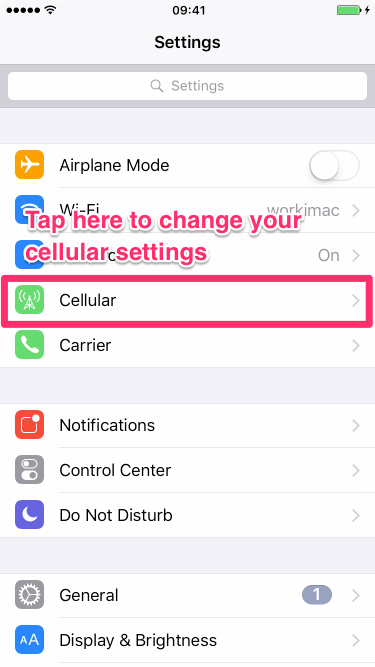 Tap on "Cellular" to change the cellular data settings. 3. 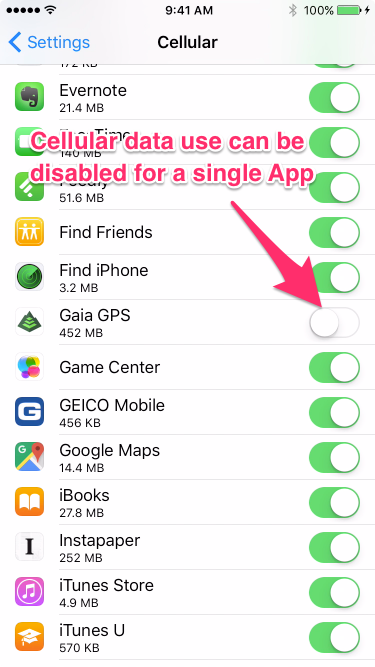 Cellular data can be disabled for a single app, or for all apps. 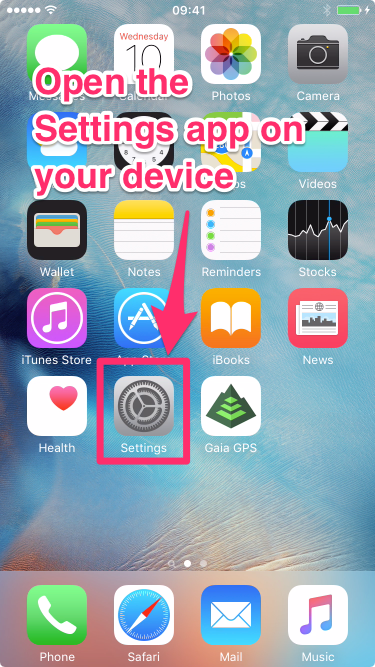 It is off when the toggle is white, and on when it is green.